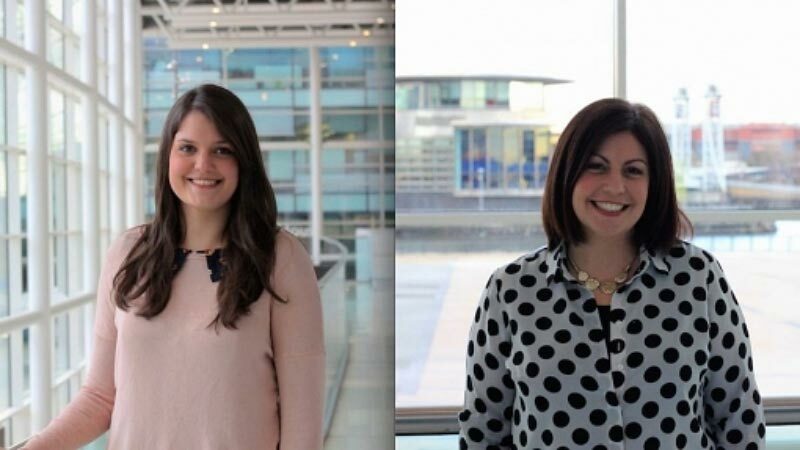 Manchester, UK – 10th February 2015 - dock10, the leading media services provider based at MediaCityUK, announces today that it has appointed Nicola Spanou as Post Producer and Emma Ruston as Post Coordinator. Nicola joins dock10 from Sumners Post-Production and brings with her 13 years of experience. Starting her career as Front of House Administrator and working her way up to Bookings and Daily Operations Manager, Nicola had the responsibility of line managing four Post Supervisors in her previous role. Commenting on her appointment, Nicola said: "I am delighted to be working with dock10. I have become accustomed to fast turn around edits and long form multi episode series – the workflow and management are a specialty of mine. I look forward to continuing my love of post producing high quality programmes across a range of genres with dock10." Also joining the team is Post Coordinator Emma Ruston. Emma started her career as Edit Assistant for 3sixtymedia, which led to her interest in becoming a Post Coordinator. She has worked on a variety of programmes ranging from studio work to documentary and drama. Now with dock10, Emma will be overseeing the AQC and FBD processes as well as DPP file delivery. Emma comments: "I am really excited about this next step in my career. dock10 have great facilities and an amazing range of shows that flow through it. Working with the team so far has been incredible and I’m looking forward to diving straight in, especially at this exciting time in the post-production world." Both Nicola and Emma will report to Paul Austin, Head of Post-Production and Content. Commenting on the appointments, Paul says: "I am really pleased to welcome Nicola and Emma to the dock10 family, they bring with them a wealth of knowledge and experience and are great assets to the team. These new additions also highlight our confidence in the future of the post production market in the region."